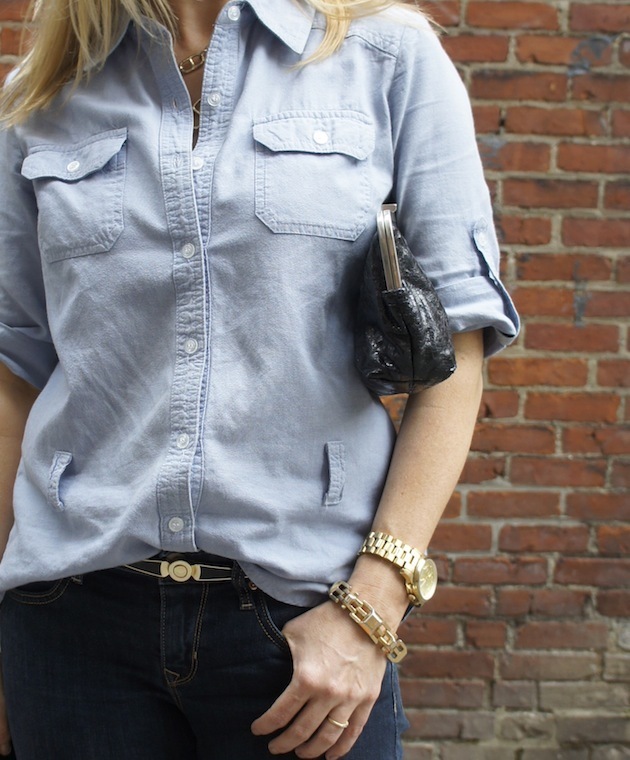 The easiest way to dress up jeans and a chambray shirt? Chunky gold accessories. I wear this watch and bracelet pretty much every day, and this necklace is in my starting line-up. A simple, classic belt ties everything together. Who says you have to wear fancy clothes to look like a million bucks? 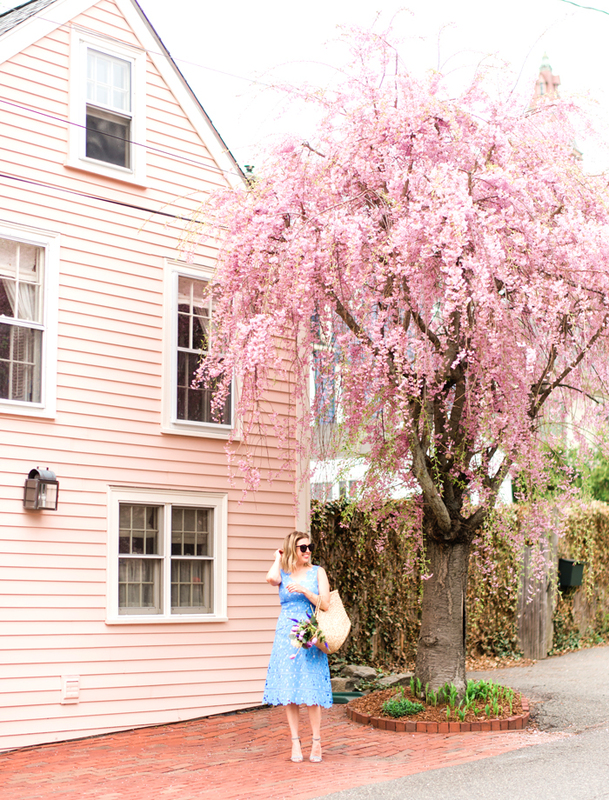 Speaking of looking like a million bucks, head on over to my Facebook page to enter to win a complimentary blow out at Be Styled Blow Dry Lounge at The Street in Chestnut Hill. Three winners can select either a 6:15 or 7:00pm chair on Wednesday, June 26th. Blow out winners and dates are non-transferable. Winners must select either a 6:15pm or a 7:00pm slot on Wednesday, June 26, 2013. Transportation to Be Styled not provided. You look swoonworthy. Those heels and that gold jewelry just bring this outfit to a whole new level. That necklace is only $18 and I am wearing it like it's going out of style. It goes with everything! Thanks! I just love big, masculine gold jewelry! that belt is amazing! so unique and subtle. thanks! The best part? I snagged it on sample sale for $10. Yessss! Lovely look! I have similar shoes and I've never worn them with denim. That's about to change! Your watch and the frequency made me thing that it's a great investment, especially from a cost-per-wear point of view. It's also just amazing! Absolutely - big purchases can be daunting but if you wear them often, the cost per wear is really what you should think about! I DID get it at the pop-up! It was a couple of days after it opened, so the throng was not quite as intense. And people seemed to be gravitating to the clothes, and not the Giant Bin O' Belts. Being a belt fanatic, I dove right in!